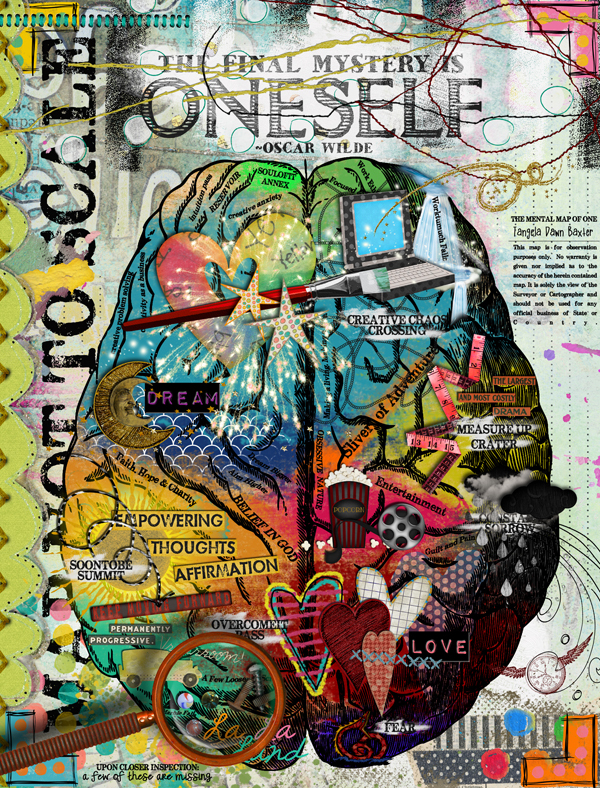 Tangie is a full- time artist, graphic designer, workshop instructor and “Tour Guide” of the Art Journal Caravan , a year long digital and mixed-media art journal workshop with over four hundred students enrolled each year. With five intense years of Photoshop experience, she has pushed the boundaries of the program beyond what it was originally created for and is considered one of the pioneers of “Digital Art Journaling”. 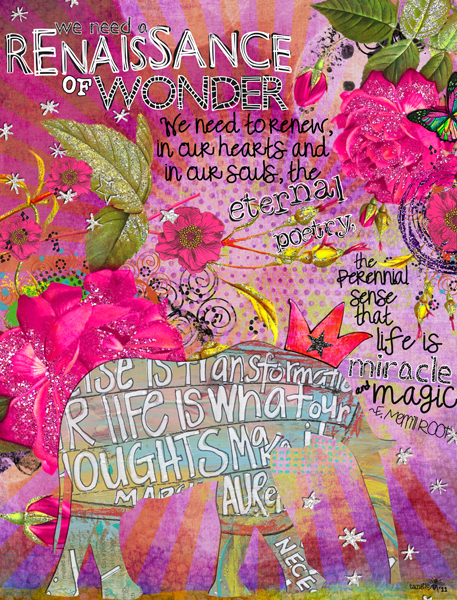 She spends all her free time, extra time, leisure time, off time, vacation time and all the time in between art journaling and making mixed-media journals. She has been a featured artist in Somerset Digital Studios several times. She lives in sunny Arizona with her husband (who is also an artist and makes journals for their Etsy shop), teenage daughter and a somewhat neurotic Italian Greyhound named Tank. 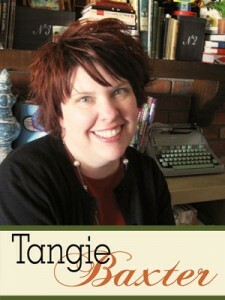 You can keep up with latest news, workshops and more at www.tangiebaxter.com/news.